Ready to share your gutsy stories? I’m beyond proud and excited to share details for the Second Annual Get Gutsy Essay Contest! It all started with a small idea last year. 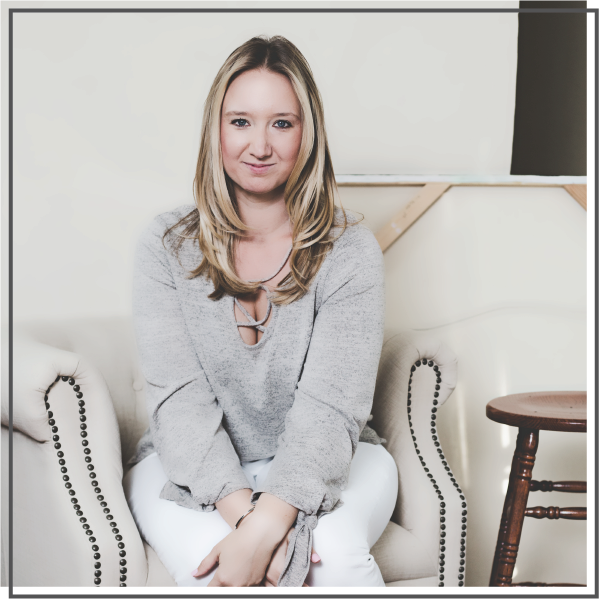 I share what it means to get gutsy all the time here on the blog, but hadn’t yet given YOU the opportunity to tell me what getting gutsy means to you and to share your own experiences and stories. On a whim, I announced the first-ever Get Gutsy Essay Contest. I was truly blown away by the result. A month later, nearly 30 people had shared their gutsy stories, three “winners” were crowned and we celebrated everyone’s success and gutsiness during the first-ever Get Gutsy Week. The Get Gutsy Essay Contest is back for 2015 and I can’t wait to hear your stories and share in your successes! 1. Write your #GetGutsy story. No rules here! Your story might be short. It might be long. It may be written in essay form or you might choose to write a list. I encourage you to think back to a time when you were really gutsy and share that experience and how it made you feel. Perhaps you have big plans for the year ahead and want to look forward and write about your plans to get gutsy in 2015. The only requirement here is that you explain what “getting gutsy” means to you and share a time that you embodied those qualities. Need some inspiration? Check out some of the stories featured in last year’s contest in Get Gutsy ebook! -Getting gutsy means stepping outside your comfort zone to reach your goals and live a life that makes you truly happy. When I did _______, I felt really gutsy! -In 2014, I really stepped out of my comfort zone when I _______. -To me, getting gutsy means _______. -In 2015, I have big plans to get gutsy! I am going to _______. 2. Publish the story on your blog. If you don’t have your own blog, you can still participate! Borrow a friend’s blog for the day, create a quick and easy Tumblr account or publish on a free site like Medium that allows you to submit your own content. 4. Email me the link to your post at jessicallawlor AT gmail DOT COM by Tuesday, January 13, 2015. That’s it! You’re officially entered. Simple and easy. I share your essay with the entire Get Gutsy community through my blog, social media channels and newsletter. Last year, we created a Pinterest board for the contest, shares hundreds of tweets promoting contest entries and helped give you and your stories the visibility they deserve! We have a big, virtual party the week of January 19, 2015! We’ll celebrate Get Gutsy Week with prizes, a Twitter chat and more. Your story will be published! If you choose, your essay will be included in an ebook that will be compiled a couple of months after the contest. See last year’s ebook as an example. Mark your calendars! From January 19-23, we’ll celebrate Get Gutsy Week and have a virtual party all week long to recognize and celebrate your gutsiness. That week, I’ll publish the three “winning” stories on my blog, along with links to each and every contest entry. On January 21, from 8-9 p.m. EST, we’ll host the first-ever Get Gutsy Twitter chat/party! Stay tuned for more details. Did you step outside your comfort zone in 2014 to do things you once never thought possible? Have big plans for 2015? Bright, shiny, big goals you want to crush in the New Year? 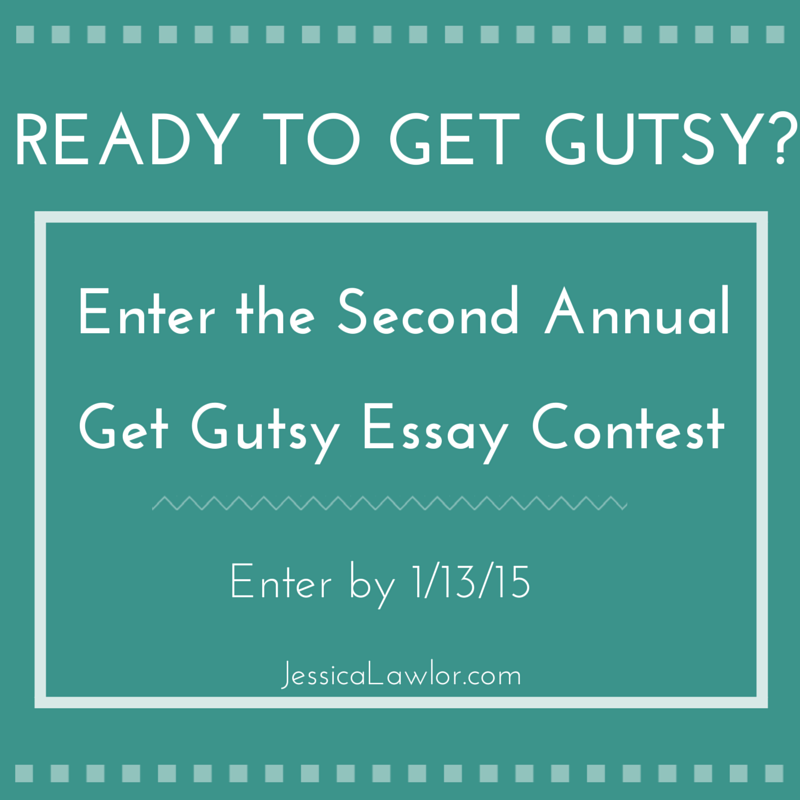 If so, you need to enter Jessica Lawlor’s Second Annual Get Gutsy Essay Contest! Check out her blog for details and get your entry in by January 13, 2015. -Pin this blog post! Scroll to the top of this post and pin the image to one of your Pinterest boards to help others find this blog post with contest details. Thanks in advance for your support and participation! What are you waiting for?! Get writing! I can’t wait to be inspired by your stories! Chime in below if you’re planning on entering!